Ljosafossskoli is an old school building built in 1946 and is based in the famous Golden Circle. Our building features an indoor sports hall, shared kitchen and a guest lounge that are available for everyone staying with us. My place is close to Thingvellir National Park, Lake Ulfljotsvatn, Lake Thingvellir and Selfoss. 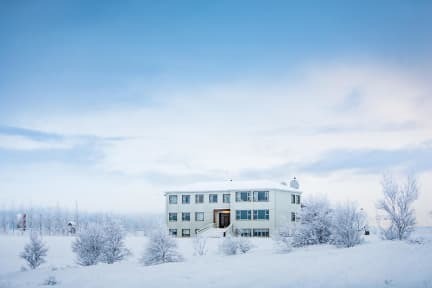 When exploring South Iceland and the Golden Circle area, Ljosafossskoli is one of the most central places you can stay at. Thingvellir, Gullfoss, Geysir, Keriedh and many other of the most popular places to visit in the south are all a short drive from Ljosafossskoli. 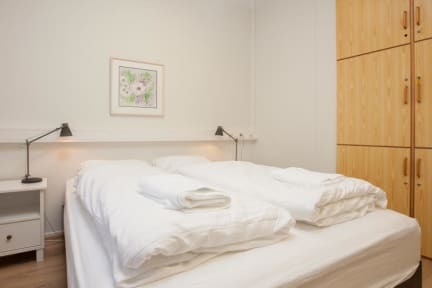 Our building features bright, simple and comfortable bedrooms that come with shared bathroom facilities. Linen and towels are included. My place is good for couples, solo adventurers, families (with kids), and big groups. Check in from 17:00 to 22:00.